Call it a superbook: this extraordinary volume runs to 720 pages and almost 15 pounds. 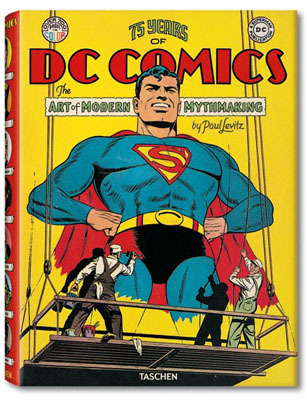 It reproduces over 2,000 iconic images from the full history of DC Comics, the creators of Superman and Batman, among many others. (If you're even considering spending more than $100 on a book about comic books, you probably already knew that.) The production values are superlative, and the collection is curated and richly annotated by Paul Levitz, a longtime comics writer as well as DC's former president and publisher.